The Essential Phone | The father of the Android creates his Own Android Device. Andy Rubin, the person to develop Android, has launched a new competitor in the smartphone market. 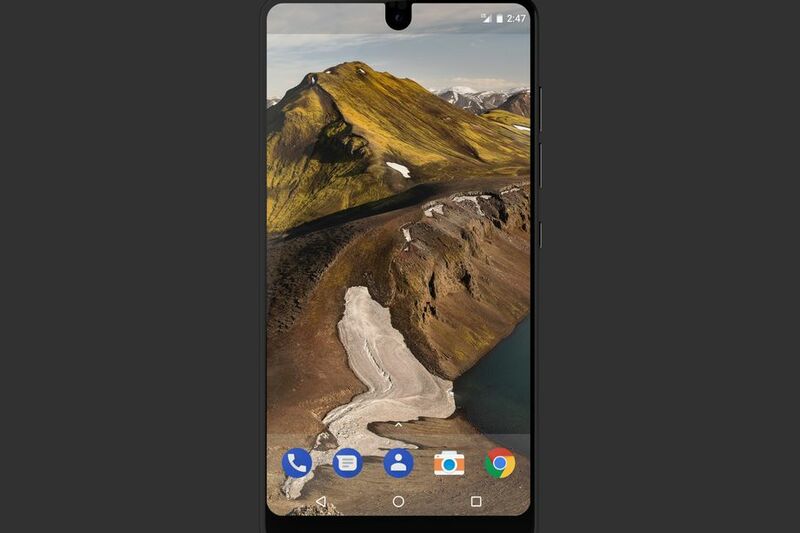 As a CEO of Essential Products, Andy Rubin released “The Essential Phone.” According to him, this latest device will compete directly with big smartphone brands like Apple and Samsung. It may not look like, but this is a modular phone. This means that you can increase your smartphone experience by using mods. However, only the future will tell about the success of these mods as many companies such as LG and Motorola haven’t had much success in this area. The Essential Phone is quite a head turner as it certainly looks pretty unique from the rest of the smartphones. The smartphone features near bezel-less display as shown in the images. A small chunk of the bezel covers the screen in the middle at the location of the front camera. The Essential Phone is built on an alloy of Titanium and Ceramic. This means that the phone will be very sturdy and will be able to handle rough use. One major thing to notice about the device is that it won’t feature a company logo. This may also mean that the firm won’t install useless bloatware apps on the device. The phone looks quite minimalistic. It features rounded corners, a finger-print sensor in the back, volume rocker and power buttons on the side, a type C USB connector and a dual camera unit at the back. One feature which stands out are the two pins at the back, just right of the camera. This is where the modular accessories will be connected to the phone. For now only a 360-degree camera and an essential phone dock, which will charge your phone without the hassle of wires. Few other mods are expected to be released later on. The dimensions of the phone are 5.57 x 2.80 x 0.31 inches. 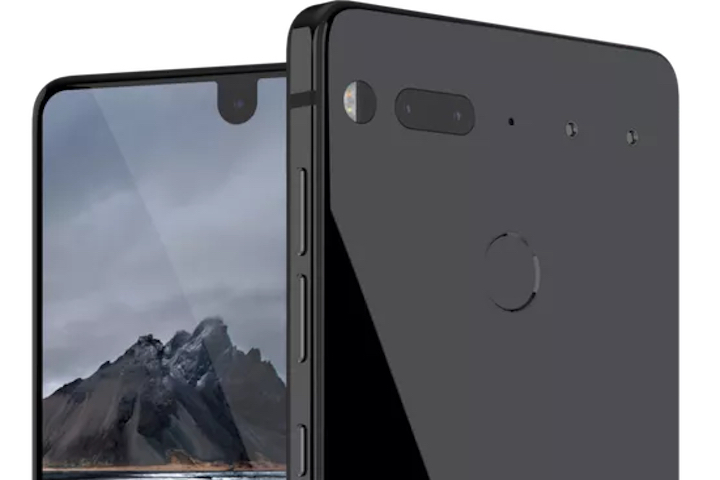 The Essential phone is currently available in 2 color variants, the Black Moon and Pure White, two more colors Stellar Grey and Ocean Depths will be available later on. Sadly there is no 3.5 mm jack on this phone, but it will ship with a headphone dongle. 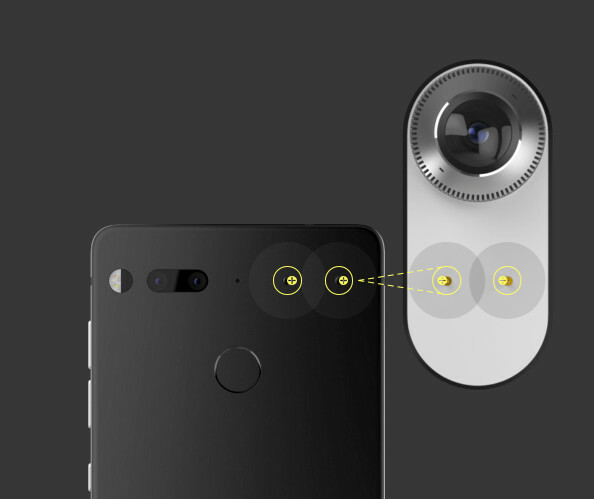 The Essential phone features top of the line flagship specifications. The screen used is a 5.7 inch LTPS IPS LCD with Corning Gorilla Glass 5 protection. The resolution of the screen is 1312 x 2560 pixels, and the screen aspect ratio is 19:10. The smartphone houses Qualcomm MSM8998 Snapdragon 835 chipset, which is one of the best chipsets of this generation. For graphical processing, the smartphone uses Adreno 540 GPU. No external MicroSD card slot is provided, but it won’t be a problem cause the device will come with 128 GB onboard storage. The memory provided is 4GB, which is quite enough for a flagship phone by today’s standards. The Primary camera uses dual 13 MP camera setup and a 8 MP front camera unit. Both the primary and secondary cameras can record 4K resolution videos. All of this is powered by a Non-removable Li-Ion 3040 mAh battery. The Essential Phone looks quite good both on the look and on paper. It tops many current generation devices in both looks and specifications department and has the strength to tackle tech giants like Apple and Samsung. The fact that this phone is created by the father of Android also adds to its credibility. If you want to try something new and innovative, then be sure to buy this phone. XNTD: Entrepreneurs have the electric scooter of the future.